— The rocket garden at NASA's Florida spaceport will soon sprout a new launch vehicle — the newly-retired Delta II. United Launch Alliance (ULA) on Saturday (Sept. 15) announced the upcoming display in the hour after the 155th and final Delta II mission leapt off Space Launch Complex-2 at Vandenberg Air Force Base in California carrying NASA's ICESat-2 satellite into orbit. Fifty-five minutes after the liftoff, ULA president and CEO Tory Bruno shared the news. "Just because we recently watched a Delta II lift off for the last time doesn't mean we have to say goodbye," said Bruno in a recorded video that was played as part of NASA's live launch broadcast and then was later posted online. "We have one more mighty Delta II rocket and I am delighted to announce that it will soon take its place in the line up at the Rocket Garden at NASA's Kennedy Space Center Visitor Complex in Florida." 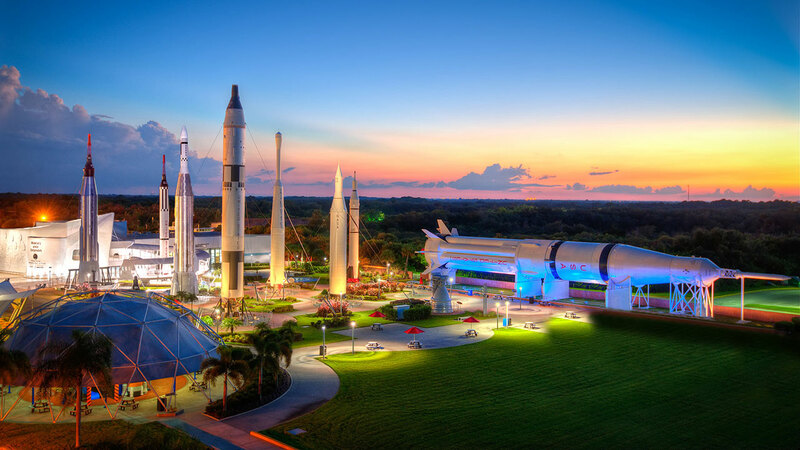 One of the first attractions that the public encounters after proceeding past the visitor complex's admission gates, the Rocket Garden displays surviving examples and full-size replicas of some of the key launch vehicles from NASA's 60-year history. The Delta II rocket first entered service in 1989 and went on to support 53 NASA missions, including sending rovers to Mars, probes to the moon, asteroids and comets and deploying observatories into Earth orbit. "We are honored to have the Delta II join our historic line up of rockets in our Rocket Garden," said Therrin Protze, chief operating officer of the Kennedy Space Center Visitor Complex, in a pre-recorded video responding to the news. 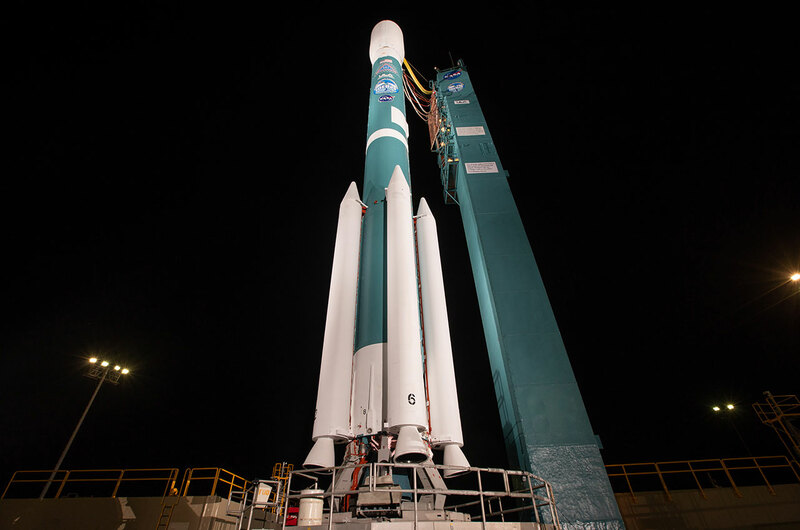 The Delta II will join seven other launch vehicles that stand in the Rocket Garden, including the Thor-Delta, the first member of the Delta family of rockets that dates back to 1960. The Delta II was the last of the Delta rockets to fly using hardware with a direct lineage to the original Thor ballistic missile. Other launch vehicles in the Rocket Garden include Juno I, Juno II, Atlas-Agena, Mercury-Redstone, Mercury-Atlas and Gemini-Titan II. NASA's last remaining flight-configured Saturn IB — the rocket that launched the first Apollo astronauts into space — is displayed in the garden on its side. The Delta II's first stage engine, the RS-27, has its heritage in the H-1, which powered the main stages of the Saturn IB. "We are going to be able to show off this blue beauty to everybody," said Mic Woltman, the chief of fleet systems integration for NASA's Launch Services Program, during the launch broadcast. "To be able to share Delta II heritage with the public, put it at Kennedy Space Center next to the sister Thor that is out there in the Rocket Garden, that announcement made my night." At 132 feet tall (40 meters), the Delta II will be the tallest of the standing rockets in the garden and the most modern, having made its first flight more than a decade after the last launch of the Saturn IB, the next most recent rocket represented. "The Delta II will live among these giants," said Jennifer Mayo, manager of exhibits and artifacts at the Kennedy Space Center Visitor Complex. "We will care for this precious treasure for generations to come." Details as to when the Delta II will join the Rocket Garden or where it will stand were not yet available. Over the course of its 30 years, the Delta II flew in several different configurations, distinguished by the number of boosters mounted to its first stage and the size of its payload fairing. According to Bruno, the Delta II joining the Rocket Garden will have four boosters and a 10-meter fairing, the same configuration as the vehicle's final launch. Left over from a final buy of Delta II rockets by NASA, the Delta II to be displayed will be assembled from mostly flight-qualified hardware. "It'll be mostly flight-worthy. We'll try not to use any of the real ordnance," joked Bruno in a reply posted to Twitter on Saturday.